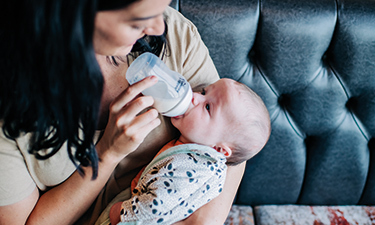 As an all-inclusive and reputable wholesaler to nursery and pharmaceutical retailers, Baby Brands Direct only stocks the highest quality feeding brands. Holding wholesale distribution rights with nursery brands like Philips Avent, Tommee Tippee Closer to Nature, Dr. Brown's, NUK, MAM, and Munchkin Latch, Baby Brands Direct is able to offer retailers a variety of price points. Our extensive catalogue features: glass bottles, anti-colic systems, BPA free bottles, bottle vent systems, brushes, gift sets, kits and a vast range of accessories. In the rather competitive market, you are able to quickly discover the latest and the most demanded baby feeding products in one place.